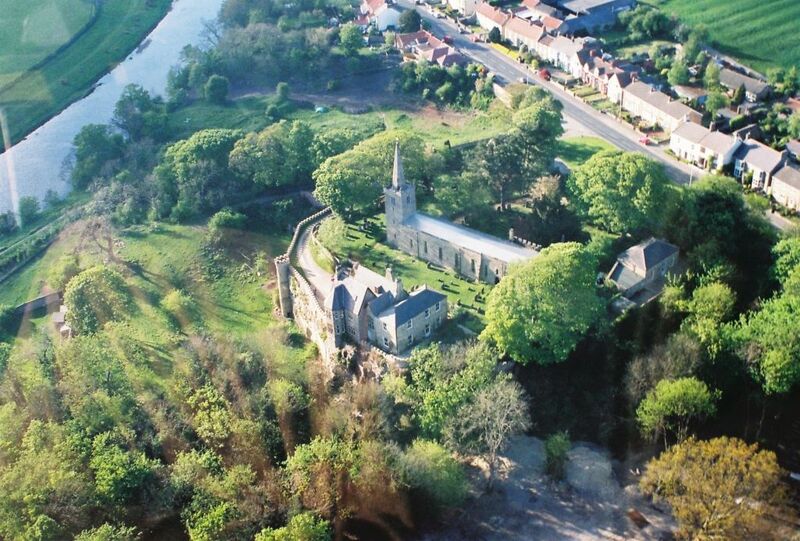 A unique period family home commanding a magnificent elevated position with far reaching views across the river Tees and adjoining countryside. The Old Vicarage is offered for sale with 5 acres of land and an impressive stone built Coach House. The Grade II Listed residence is tucked away in a private location behind St Edwins Church on the southern fringe of the village. Arched Gothic style front door opens to an impressive entrance hall which features an attractive return staircase and a tall Gothic style stone mullion window. The large drawing room enjoys a pleasant south facing aspect and includes a magnificent five sided bay which provides extensive views across the grounds and over the river Tees. The dining room also enjoys good natural light from two elevations with shuttered windows and an impressive ornate cast iron and marble fire surround and open fire. The study faces the front of the house. The dining/kitchen incorporates useful built-in cupboards, fitted units, pantry and an oil fired Aga. A door opens from the kitchen to a beautiful cottage garden and cliff terrace. Pillared entrance gates provide vehicular access from the village green along a private walled driveway to a large gravelled parking area outside the house. A castellated wall and tower set on the cliff top make a striking feature. A stone Coach House can provide parking for 2/3 cars and potential to convert into additional accommodation subject to necessary consents, was in the past used for stabling horses. There is a colourful cottage garden to the east side of the house together with a clifftop terrace. The majority of land is situated at the base of the cliff accessed from a grass ramp. The area includes grass paddocks, field shelter, wooded areas and a walled kitchen garden. If you would like to see the full details please click here.